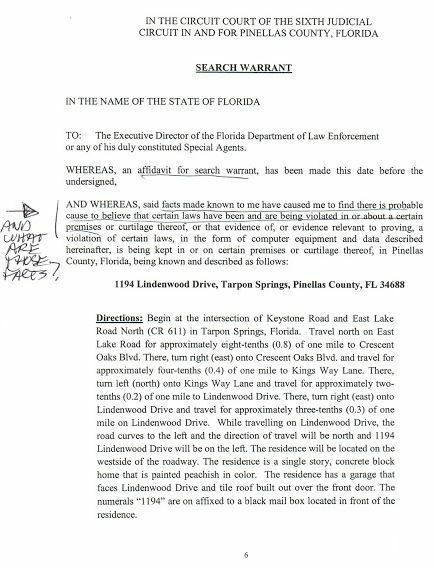 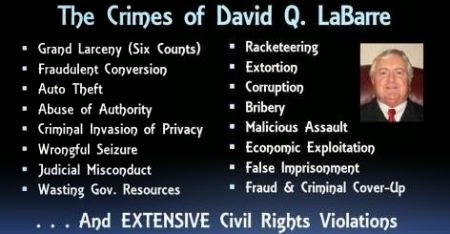 The below document is a BOGUS search warrant which was used in an effort to suppress evidence of extensive criminal wrongdoing by corrupt NC Judge David Q. LaBarre and others involved the LaBarre Larceny Scandal, AS WELL AS the surfeit of evidence against Morgan Stanley and its MANY operatives in the omnibus MorganStanleyGate scandal. 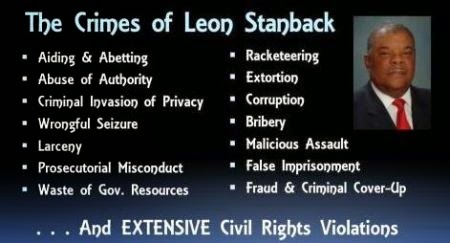 His long-time friend and equally corrupt Durham NC District Attorney, Leon Stanback orchestrated this canard, and it was an intentional violation of the 4th Amendment to the US Constitution. 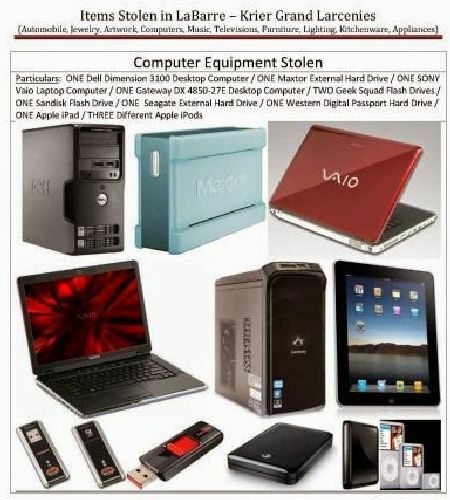 As a result, ALL of Spencer C. Young's computers were taken (pictured below) and have NEVER BEEN RETURNED, which is effectively GRAND LARCENY. 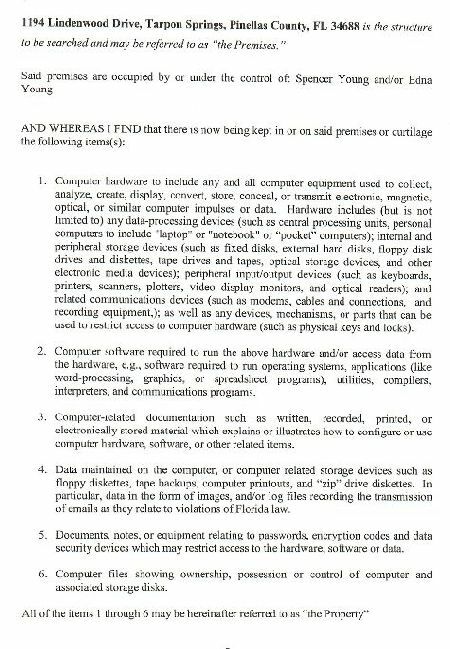 Additionally, this is a clear cut instance of obstructing justice and a CRIMINAL invasion of privacy hypocritically perpetrated by public officials who are supposed to uphold the law, NOT break it. 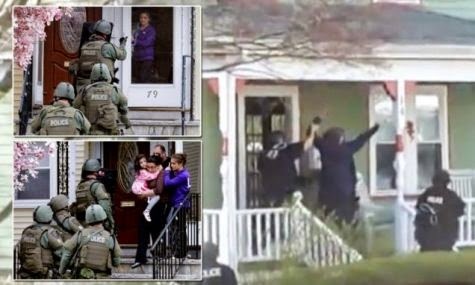 The judge who played a direct complicit role in this absolutely BASELESS search and seizure was Philip J. Federico, who authorized the above BOGUS search warrant. 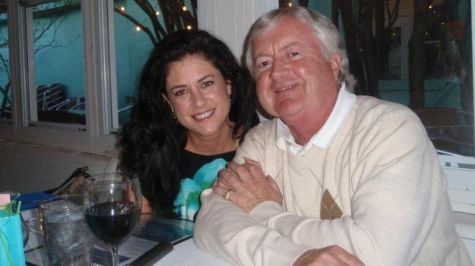 Worse yet, this blatantly UNLAWFUL act was carried out in an attempt to destroy the evidence of the extensive FELONIES of a North Carolina Judge (David Q. LaBarre), and this judge's girlfriend (Leah R. Krier), who are pictured below holding hands at a romantic dinner together. 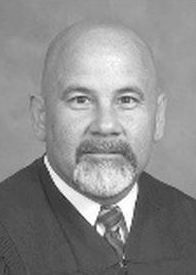 Can you believe this reprehensible judge had the audacity to preside over a case involving his girlfriend and proceeded to issue secret orders (referred to as "ex parte" orders) as part of an elaborate series of thefts?